If you have a home or business in the Frederickson WA, area you know the beauty trees bring to your property. Trees need care just like any other plant you would grow in your garden. While you can do research and try and take care of your trees, it can be daunting and even dangerous. Leave the stress of doing it yourself behind and call us today! We are here to care for your trees, keeping them healthy, beautiful and safe for all to enjoy. Hunter's Tree Service was established in 1986 and giving us years of experience to make sure your tree service is provided with safety and efficiency. 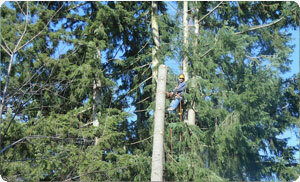 Call us today at (253) 777-1938 to get a free estimate from a tree service professional. We understand the importance of cleaning up any debris left from tree removal or tree trimming. Our tree care service is not yet complete until the area is cleaned up and scraps or branches are removed from your property. If you choose us for your tree care in the Frederickson neighborhood you don’t have to worry about us leaving a mess in your yard. Caring for your trees is very important because trimming and pruning will increase the appearance and can also improve the health of your tree. 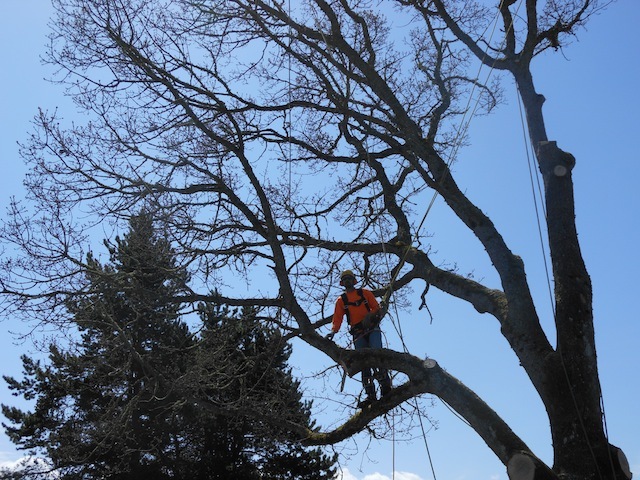 There is no project too big or too small; we are professional arborists ready to safely take on any tree care task. 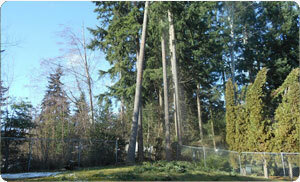 If you have dead branches on your Frederickson property it can be very hazardous. Tree trimming can help to protect your property and even your family. Trimming your tree will freshen up the look and help it to continue to grow. If you leave dead branches on your tree they can mold and attract bugs which can eventually cause the tree to rot and fall. Dead or diseased limbs can also be a safety hazard because they are more susceptible to falling during high winds. Tree trimming, and pruning doesn’t have to seem so scary anymore, because we will take care of it for you! If you have any questions or would like to schedule our services in Frederickson, call Hunter's Tree Service (253) 777-1938 for expert tree care.